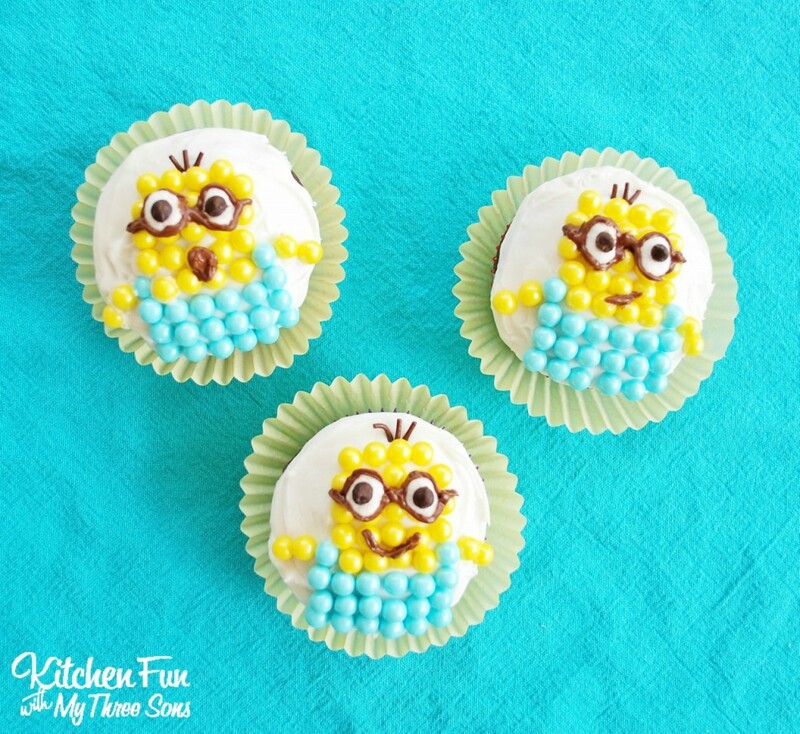 We came up with this fun and different way of making Easy Despicable Me Minion Cupcakes using candy pearls from Sweetworks. 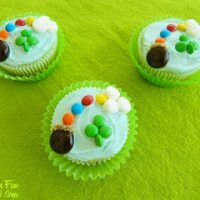 These cupcakes are SO easy to make and my boys made these all by themselves. 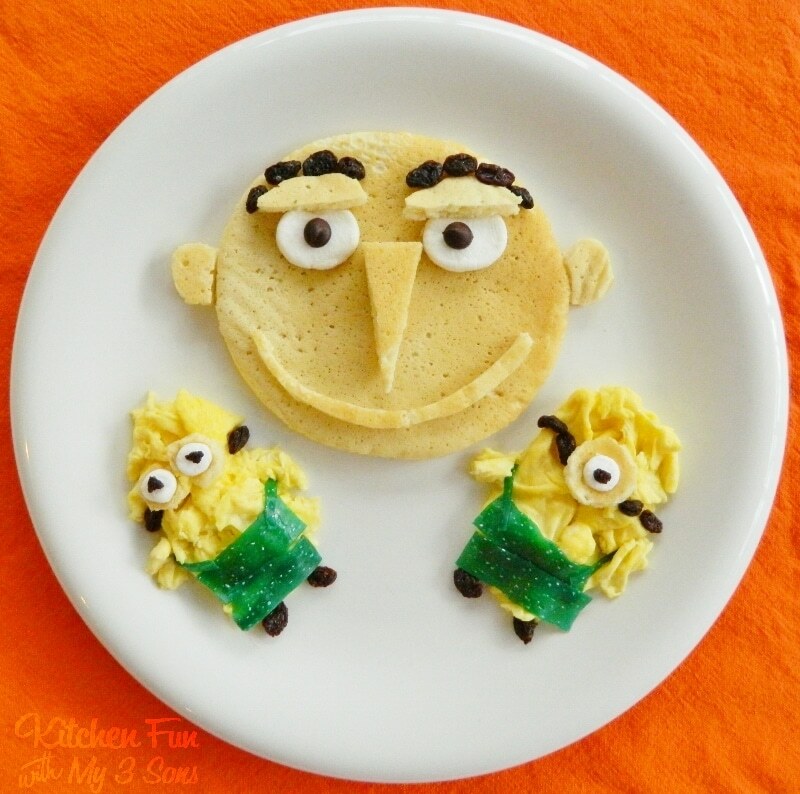 Such a fun edible craft that your little Despicable Me and Minion fans will have fun creating! Start out by frosting the cupcakes using your white frosting. Line up 3 rows of 6 blue candies starting at the bottom of the cupcake. 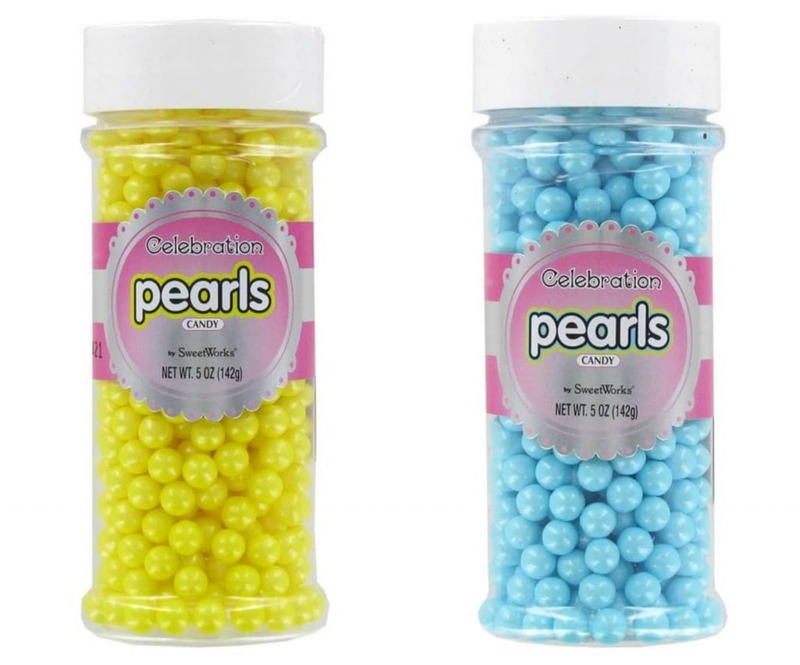 Add 2 more blue candies on the tops of the end rows of the blue. Line up the yellow from one end to the other in that same row. Line up 3 more rows of 5 with the yellow and the top row using 4. 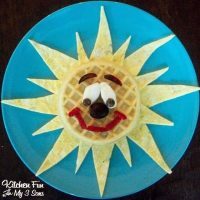 Add 3 chocolate jimmies on top for the hair. 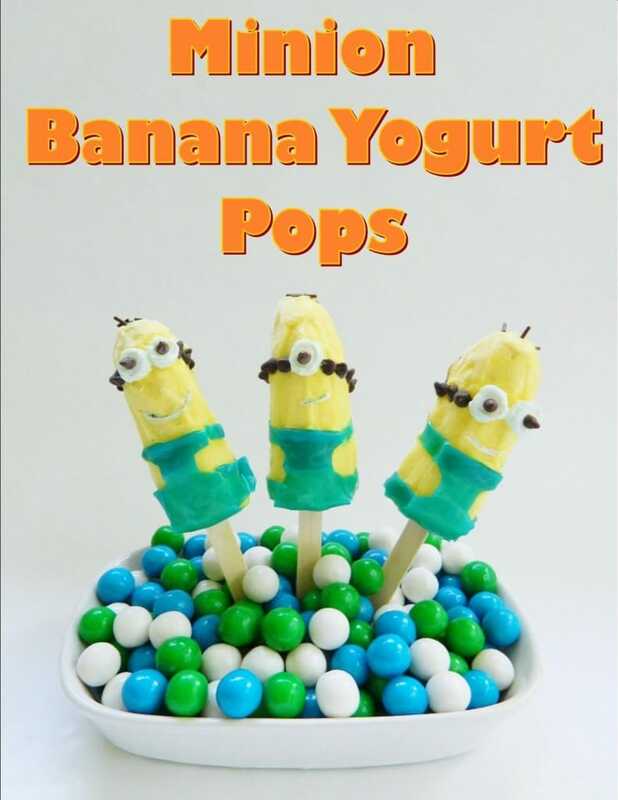 Cut the tips off of mini marshmallows using kitchen scissors and place them on top for the eyes. 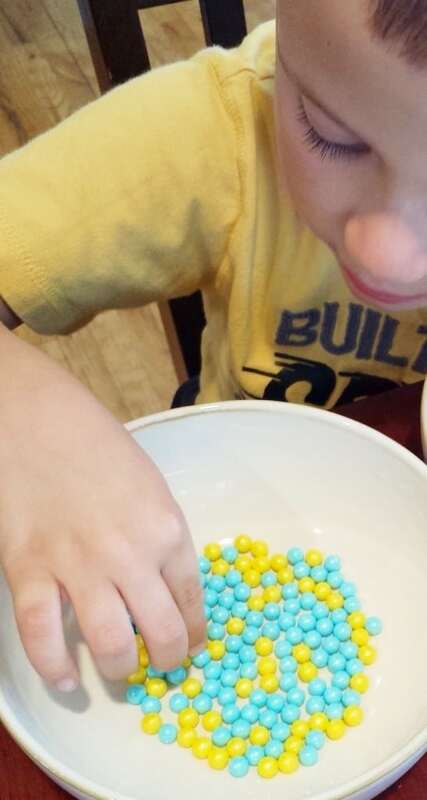 Squeeze on your chocolate icing on the sides and around the marshmallows to look like glasses. 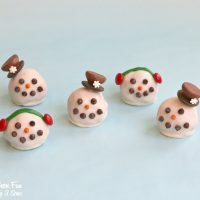 Attach on the mini chocolate chips for pupils and add a mouth using the icing. That’s it…how easy is that?! 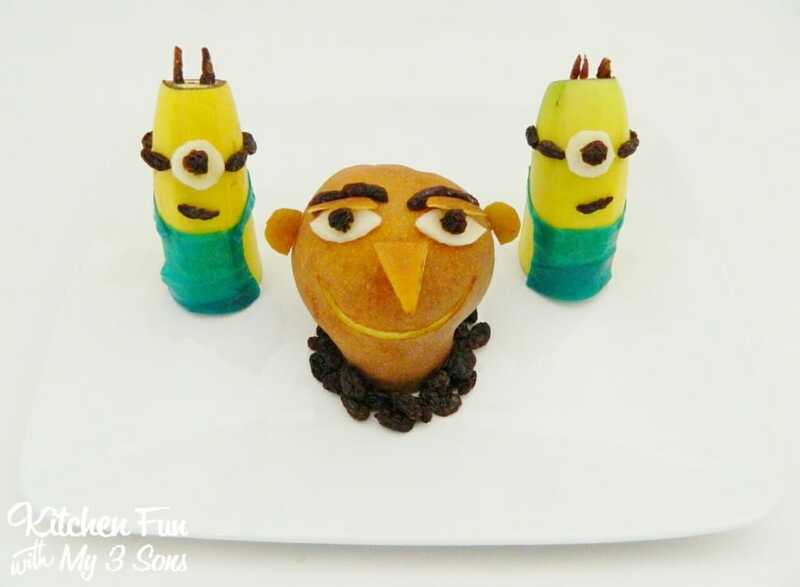 If you like our Easy Despicable Me Minion Cupcakes…make sure to check out our other Cartoon Fun Food Ideas HERE! 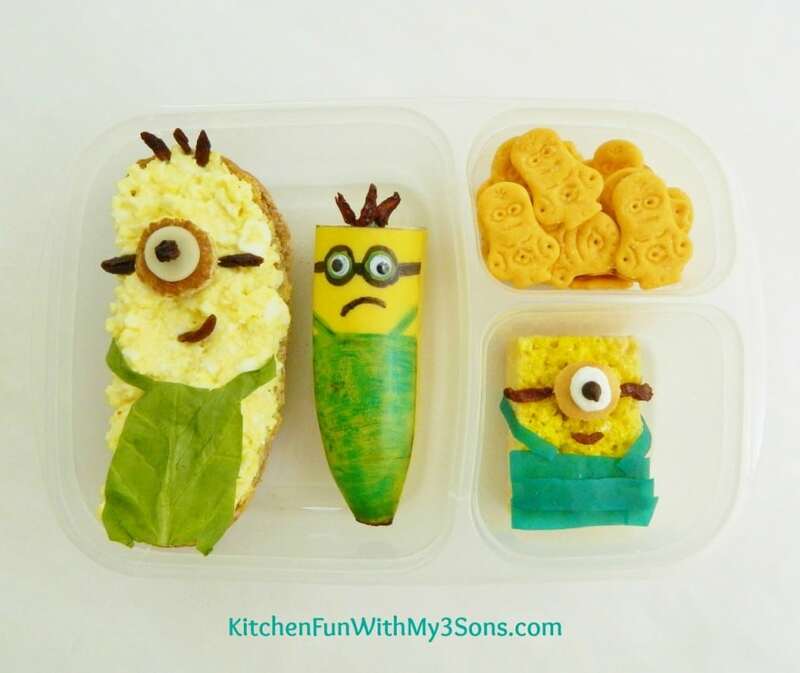 « Previous PostKitchen Fun With My 3 Sons 4 Year Blogiversary!